"There's nothing like a nutrient-packed green smoothie to say cheers to your health!" 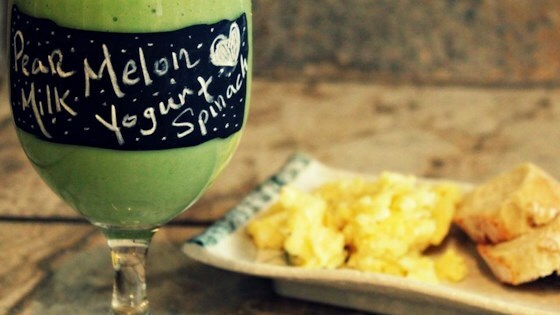 Combine baby spinach, Greek yogurt, honeydew melon, pear, milk, and ice cubes in a blender; blend until smooth. My honeydew was a little bland so I added a whole pear and honey for sweetness. ? ?tastes great. Taste is great but the texture takes a little getting used to.